You've got a fancy new camera -- now comes the hard part. When buying a mirrorless or DSLR camera, there's an equally crucial side question: What lenses do I need for this thing? The glass you place in front of that sensor plays a key role in how your photos or videos look and what kind of shooting you can do. It's a complex decision too. You need to consider factors like sharpness, distortion, speed, prime or zoom, and most importantly, price. In this guide, I'll touch on all that and look at some of the best lenses for Sony, Canon, Nikon, Fujifilm and Micro Four Thirds cameras. Your camera likely came with a so-called kit lens, probably a zoom in the 24-70mm (35mm equivalent) range. However, most kit lenses are useless in low light and have mediocre image and build quality. So you should strongly consider supplementing yours with at least one or two additional lenses. What to buy depends largely on what you think you'll be shooting. For most photographers, a versatile, wide focal-range zoom will be the best bet. 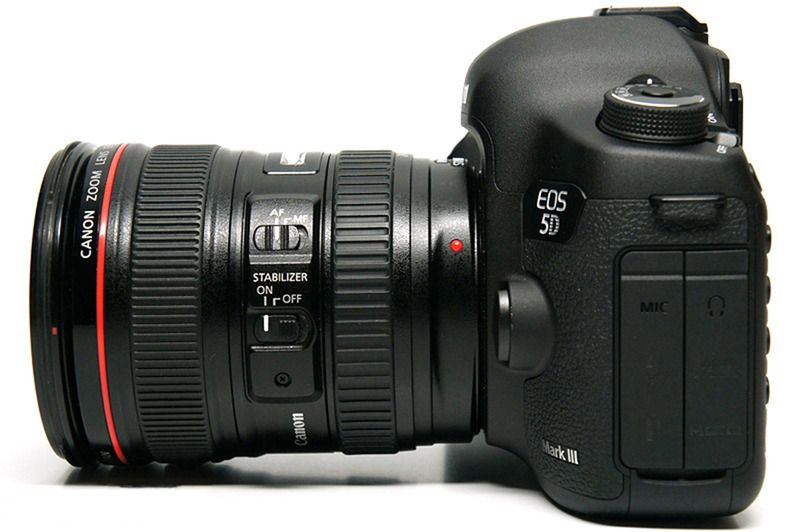 Portrait photographers will want a 50-85mm fixed (prime) lens that best flatters the human face. Product photographers might consider a macro lens, architectural and landscape photographers need wide-angle zoom or fixed lenses, and wildlife and sports shooters will be drawn to large, relatively fast telephoto (tele) fixed or zoom lenses. If you shoot a lot in low light, you'll need a fast lens (f/2.8 or lower) with stabilization, and video shooters will need to consider things like focus breathing, manual focus and parfocal qualities (more on those shortly). Focal length. The key feature of a lens is its focal length in millimeters. Depending on your sensor size, that will dictate the angle of view of the lens, or how much of the scene it "sees." We often express focal length as a 35mm film camera equivalent so we can understand the relative angle of view for any camera (see the table below for crop factors to multiply each type of lens mount by to get the 35mm equivalent). In 35mm terms, lenses under 24mm are ultra-wide angle (or fisheye, if there's significant distortion), 24-35mm are wide, 35-70mm are standard and above that are telephoto. Macro lenses, which are specifically designed to capture very close subjects (but are also fine for portrait and other types of photography), are usually in the 35-100mm range. Prime vs. zoom. Zooms are more versatile and make it easier to frame your subjects without moving while primes generally offer better optics and low-light performance (speed) for the same price. That's because there are optical compromises in zoom lenses that don't exist with primes. Mount. Lenses are usually designed for specific brands (Nikon, Sony) and sensor sizes (full frame, APS-C or Micro Four Thirds). Generally, lenses are a lot more expensive for full-frame cameras, because there's more glass. Full-frame lenses for Canon, Sony and Nikon work just fine on their APS-C models. You can also stick APS-C lenses on full-frame Nikon and Sony cameras, but the image will be cropped and zoomed in. Generally, it's best to buy lenses made specifically for your camera. F-stop or aperture. Faster lenses with wider apertures (openings) have lower f-stop numbers (f/2.8 instead of f/4.0, for instance), letting them take in more light. They also let you create more bokeh, or blur, in the background to isolate the subject. As a rule, they cost a lot more than slower models. Cheaper kit lenses often have variable apertures, which change depending on the zoom level. For instance, Sony's slowish full-frame FE 28-70mm OSS kit lens has a variable f-stop range of f/3.5 to f/5.6 and costs just $398. Meanwhile the Vario-Tessar T* FE 24-70mm f/4 ZA OSS model is $898, and the fixed-aperture FE 24-70mm f/2.8 G Master (GM) lens will set you back $2,198. Autofocus (AF). If you buy an extremely fast camera like the Nikon D850, you'll want a lens that focuses just as quickly. Again, money helps here, as costly Canon L-models, Fujinon, Nikon N and Sony GM glass mostly offer great AF performance. 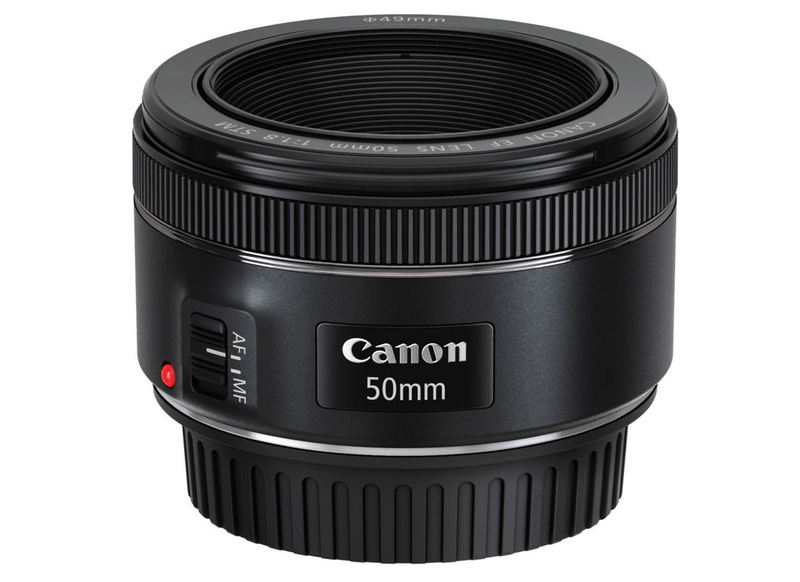 That said, many cheap kit and prime lenses, like Canon's 50mm f/1.8 STM, also pack solid autofocus systems. Cheaper lenses can have noisy autofocus, which is something that video shooters, especially vloggers who rely on AF, should keep in mind. Stabilization. Stabilization reduces hand and other camera movements (though not subject movement, obviously), letting you shoot with less light than you normally could. If you have a modern DSLR or mirrorless camera like Sony's A6500 or the Fujifilm X-H1, it already has built-in stabilization (IS). For other models, though, you'll need to get that feature from the lens. The key metric is how much extra speed you get (in f-stops) compared to having no stabilization. Many lens makers claim as much as three to four stops of improvement, but keep in mind that it won't help on every shot. Note that even if your camera has IBS, you'll also benefit from a lens that also has it, as most IBS systems work in concert. Optical quality, bokeh and distortion. Generally most modern lenses, including kit models, are sharp enough for the average user. Better lenses, however, will remain sharp at wide-open apertures and toward the corners of the image. Higher-end models will also have better, softer-looking bokeh in the blurred parts of the image. As for distortion, it's mostly an issue with zoom lenses, not primes, and modern DSLRs and mirrorless cameras will automatically remove it. Zoom lenses, especially cheaper models, are also more susceptible to chromatic aberration (CA), which causes blue or pink tones at the edges of objects in a photo. Handling, manual focus and other factors. Expensive zoom and prime lenses can be heavy, cramping your style for street or tourist photography. If you want to travel light, then, a pancake, light prime or a lightweight kit lens will do the job best. Though most photographers don't need manual focus, it's still important for videographers who rack (change focus) from one subject to another. Video pros will also want a lens with fine manual focus control and models that don't breathe, or zoom, when you change focus. (Purpose-built cinematography lenses don't breathe, but are very expensive.) Videographers might need parfocal lenses that stay in focus when zooming -- again, these tend to be costly. If you already have a kit lens with your camera (typically a 28-70mm f/3.5-5.6 zoom), the next step is to get at least one prime. Why? It will let you shoot sharp, distortion-free portraits or take street and travel shots with nice bokeh. You'll also be able to shoot in bars, concerts and other low-light situations without cranking up the ISO and creating noisy images. Luckily, this is fairly easy: Every brand has a cheap, fast, "nifty fifty" prime that will take surprisingly nice shots. Sure, they're plasticky and not as durable as higher-priced primes, but they're also lighter. And thanks to modern manufacturing techniques, the optics are great. Sony APS-C mirrorless (E-mount). Sony's own basic 50mm prime, the E 50mm F1.8 OSS, is easy to recommend, even though it costs a bit more than other basic primes at $299. For that sum, you get optical stabilization, great bokeh and decent build quality, but autofocus is a bit slow. For a wider field of view, another interesting option is the $279 E 30mm f/3.5 Macro. It offers the 35mm equivalent of a 45mm focal length, and you can do macro photography with stellar bokeh, to boot. Sony full-frame FE. Sony's FE lenses are costly, so scale your expectations accordingly. 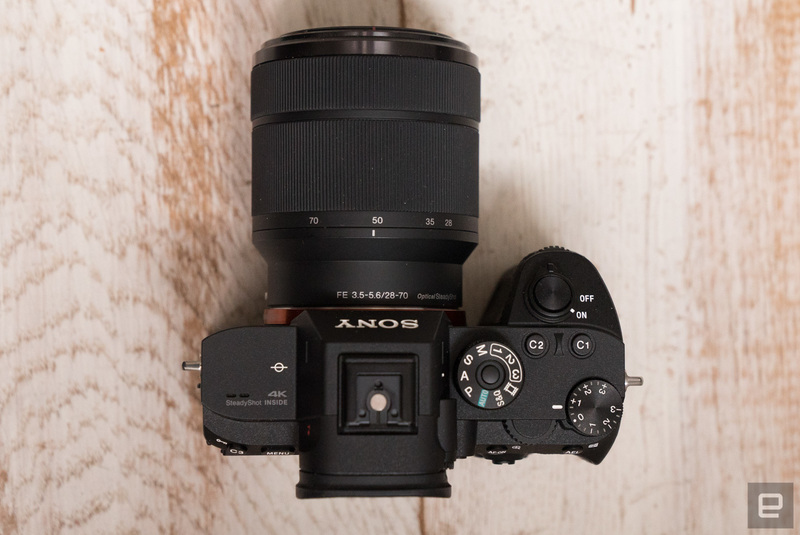 I wouldn't recommend Sony's $249 FE 50mm f/1.8 lens, as it has noisy, bad autofocus and mediocre build quality. That leaves just two options under $500. 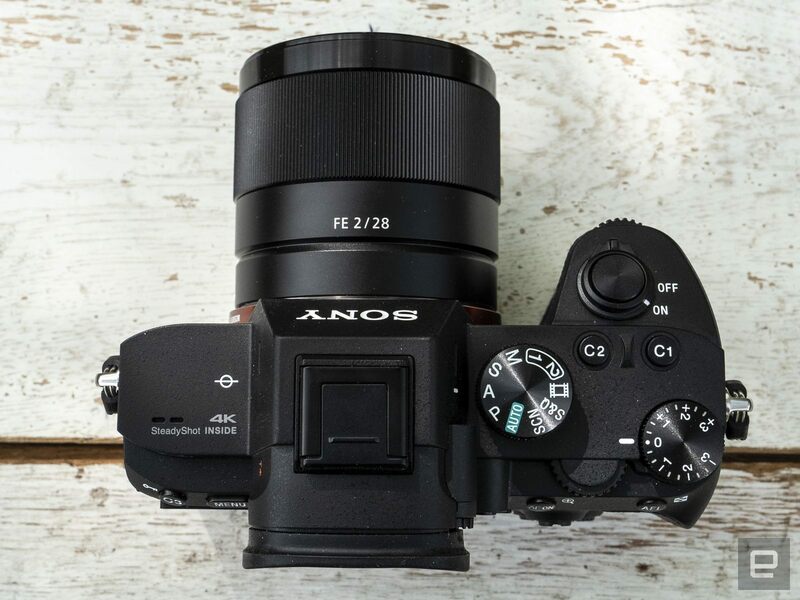 Sony's $450 28mm F/2.0 lens (at the top of the article) is sharp and fast for a wide-angle lens (I own one) and has good bokeh as well. The other is the FE 50mm f/2.8 Macro, which provides good image quality and close focusing, with the main drawback being slow autofocus. Canon DSLRs. This is simple: Just get the $125 50mm f/1.8 STM, which is compatible with all of Canon's DSLRs. It's the best-selling lens in the world and has great optics and fast and nearly silent autofocus, making it good for light video duty. Just bear in mind that it's equivalent to an 80mm lens on an APS-C EF-S camera and lacks optical stabilization. If you own a Canon EF-S model and do travel or street photography, another great option is Canon's $180 40mm f/2.8 STM pancake lens. That will give you a wider field of view, and it's extremely compact and relatively fast. Full-frame camera owners with the need for more speed might consider the EF 50mm f/1.4 USM lens, which provides fantastic bokeh and good night-shooting capability for a relatively paltry $329. Canon M mirrorless. The EOS M system is relatively new, so Canon has only two dedicated prime lenses, unless you're willing to use an EF adapter. Luckily, both are relatively cheap. The $250 EF-M 28mm f/3.5 Macro IS STM is a good wide lens for close-ups and street photography, while the $230 EF-M 22mm f/2 STM gives you more speed and an even wider field of view. Canon RF mirrorless. This is a brand new system, so there are only two lenses available for the Canon EOS R, with two more coming soon. You can't go wrong with the $1,100 24-105mm f/4 kit lens, and in fact, you'll probably need to get it. That's because the only other lens available, the 50mm f/1.2, costs $2,300, and wouldn't be quite as versatile (though it's an incredible lens). The other two lenses coming soon, the spectacular 28-70mm f/2.0 will cost $3,249, and the 35mm f/1.8 macro will be $500. Nikon DSLRs. For both full-frame FX and DX APS-C cameras, Nikon's $225 AF-S Nikkor 50mm f/1.8G is a must-have cheap prime lens. It's sharp and focuses quickly and silently. The drawback is the build quality, which is plasticky and not too durable. Also, it's essentially a telephoto (80mm) lens on Nikon's DX APS-C cameras. 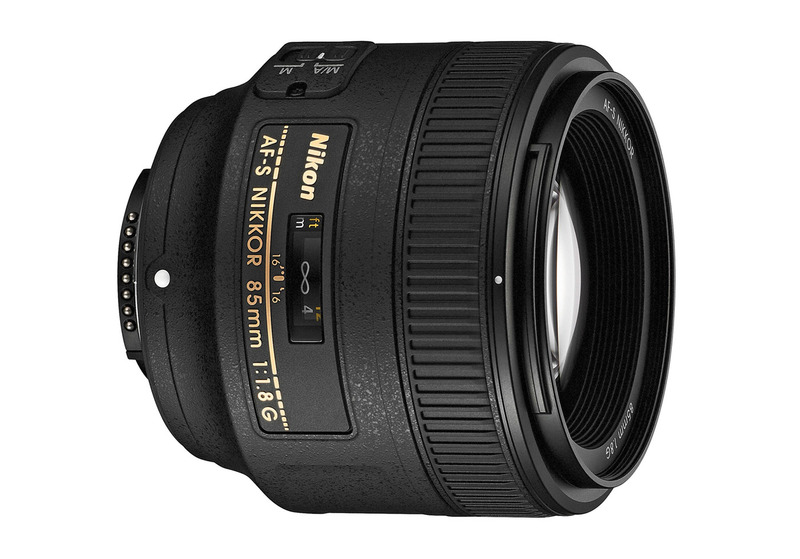 If you're a DX user and need a normal (50mm equivalent) lens, consider the $197 Nikon 35mm f/1.8 lens. It offers "pro-grade optics," says Switchback Travel, though build quality isn't the best. FX users looking for a portrait lens, meanwhile, should consider the Nikon 85mm f/1.8 model, which offers more performance than you'd expect for $450 or so. Nikon Z full-frame mirrorless. This is another new system, and there are only three lenses so far, the $1,000 Nikkor Z 24-70mm f/4, $850 Nikkor Z 35mm f/1.8 S and $600 Nikkor Z 50mm f/1.8 S. Unlike with Canon's EOS R, none of the lenses are very expensive, but they're not terribly exciting, either. For that, you'll have to wait for the manual focus Z-Noct 58mm f/0.95 lens, which should offer stellar performance, for a price. Fujifilm X Series. Fujifilm has arguably the most consistent lens lineup in terms of quality, but it doesn't have any super cheap models either. The cheapest prime is the $400 Fujinon XF 35mm f/2 R. That's a lot for a nifty fifty (53mm equivalent), but the optical quality is excellent and it's built like a tank. If you need something faster, you'll have to spend $599 for the XF 50 f/1.4 or XF 35 f/1.4 models, both of which are just as tough and optically excellent. Micro Four Thirds. 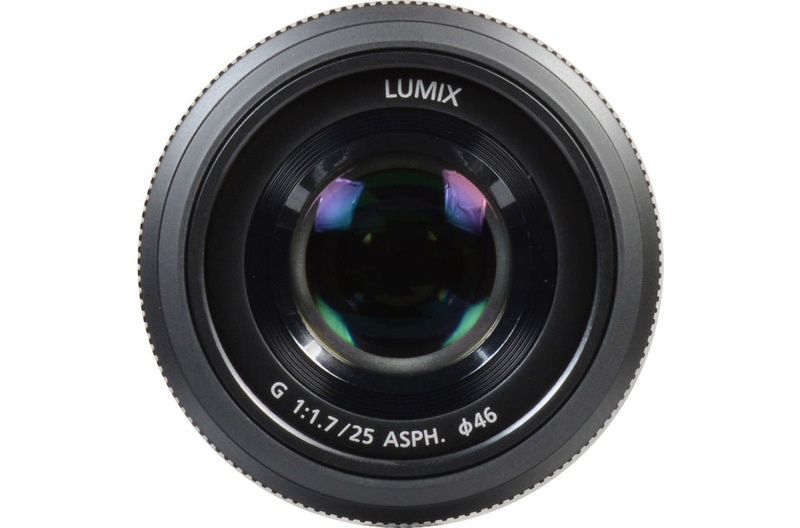 Panasonic's $150 Lumix G 25mm f/1.7 ASPH is among the best budget standard primes you can get for Micro Four Thirds mirrorless cameras. With a 50mm equivalent (35mm) focal length, it's not only faster than most nifty fifty lenses but also sharper. As with most lenses in this category, it's a bit fragile, though. If you want to go a bit wider, check out the $374 Olympus M.Zuiko digital 17mm f/1.8 lens. It's small, light, sharp and well built, with the main drawback being some vignetting at f/1.8. If you've got more cash to burn, it's time to step up to a better zoom lens. For most folks, the best way to go is to get a fixed-aperture zoom with a range somewhere between 24mm and 105mm. Another option is to go more extreme, with telephoto or wide-angle range zooms, or models that can cover the entire gamut. Let's look at the best of those. Sony. 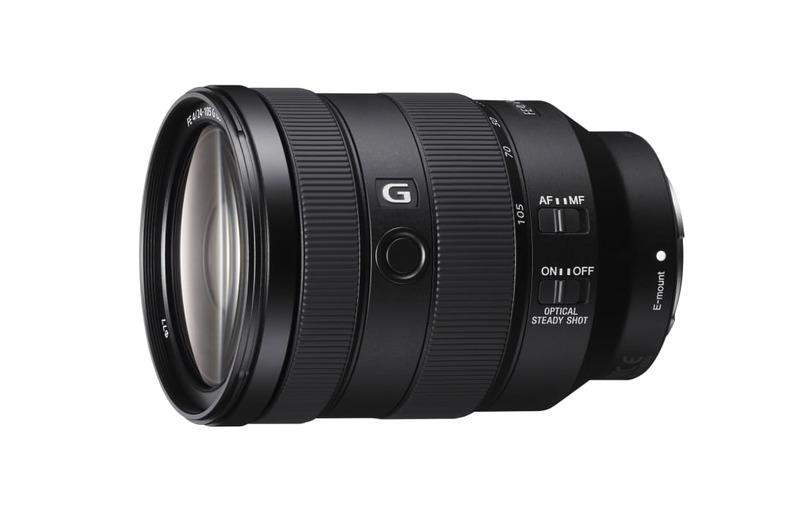 Sony's full-frame FE 24-70mm f/2.8 GM zoom is highly desirable, but it's sure expensive at $2,198. 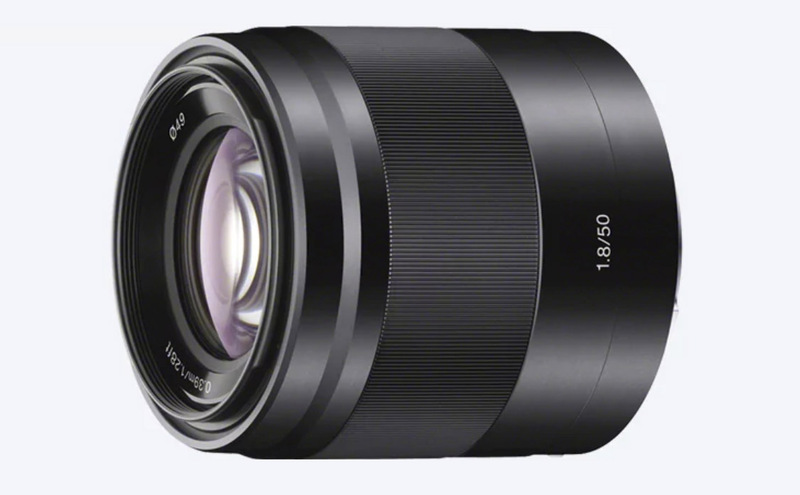 Instead, why not consider Sony's new 24-105mm f/4.0 G OSS zoom, which costs $1,298? While a stop slower, it's lighter, smaller, has better range and is weatherproof, to boot. Sony APS-C users, meanwhile, should look at the 18-105mm f/4 OSS model at $600. For a more extreme zoom, consider the Sony FE 24-240mm f/3.5-6.3 ($998) full-frame lens or the 18-200mm (27-300mm, 35mm equivalent) f/3.5-6.3 OSS ($848) model for E-mount. Canon. For full-frame Canon DSLRs, I'd actually recommend the more expensive 24-70mm f/2.8 L II lens over the 24-105mm f/4.0 L II lens. Sure, at $1,599 (currently at B&H Foto & Electronics), it's a good $500 more than the f/4.0 model. But it's sharper and more contrasty than nearly any other midrange zoom, and it has fast and accurate autofocus. 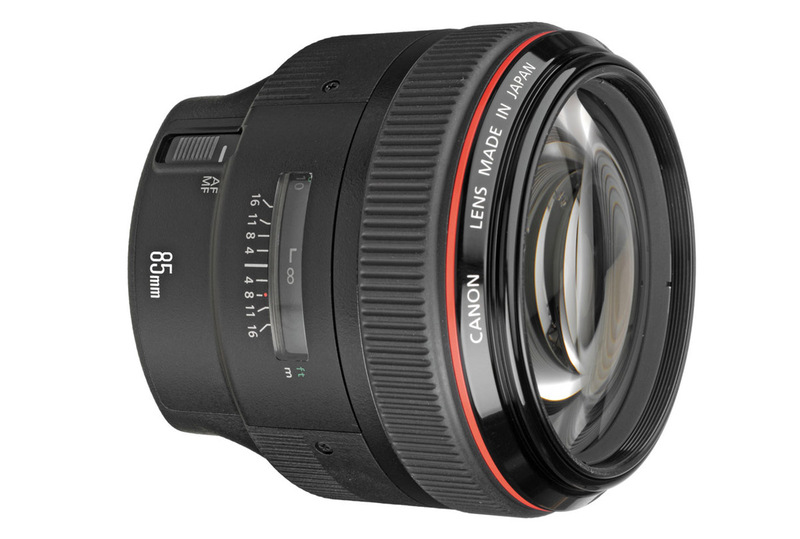 For APS-C EF-S models, check out the 17-55mm f/2.8 IS USM (27-88mm equivalent, $799), which is also nice and fast. For something a bit crazier, Tamron's 16-300mm f/3.5-6.3 ($549) offers a 25.6-480mm equivalent zoom range. On the full-frame EF side, the Canon 70-200mm f/4L ($1,149) offers a nice blend of reach, speed and value for sports and wildlife photography. Nikon. The pricey but lovely $1,800 Nikon 24-70mm f/2.8G lens is your best pick for full-frame Nikon DSLRs. 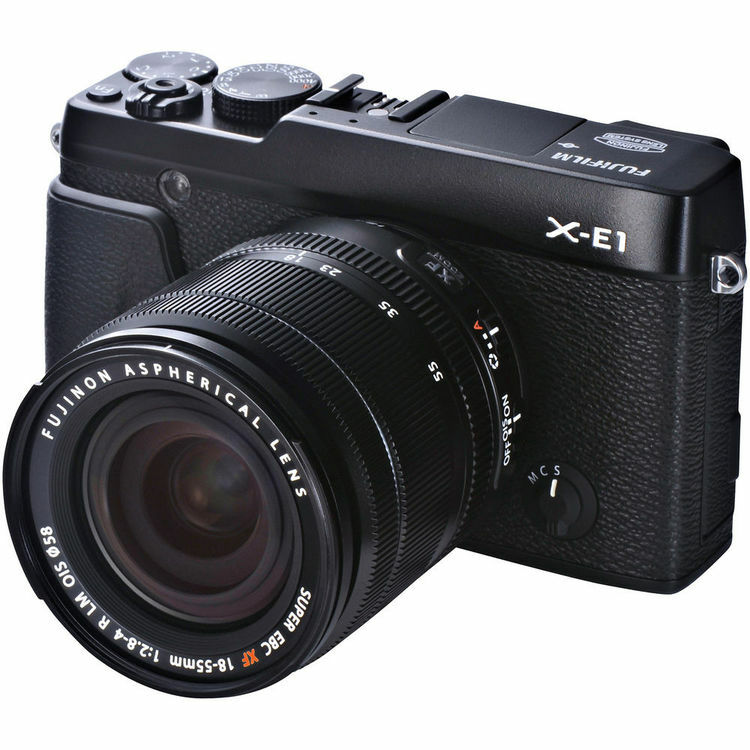 It's sharp and solidly built, and it's much less expensive than the 24-70mm f/2.8E model. As for drawbacks, it's missing vibration reduction (stabilization) and has a steep price. On the DX (APS-C) side, the $370 Sigma 17-50mm f/2.8 wins out over Nikon's models. It's fast, sharp and well-priced but has mediocre build quality and a weird reverse focus ring. For something more extreme, consider the Nikon 18-300mm f/3.5-6.3 VR ($697), with a whopping 27-450mm (35mm equivalent) zoom range on the DX side and the $950 Nikon 28-300mm f/3.5-5.6G lens for full-frame FX models. Fujifilm X Series. I'd pick the Fujinon 18-55mm f/2.8-4 OIS ($699) over the 16-55mm f/2.8 ($1,199) model. It's cheaper, for one thing, as well as much lighter, and it has image stabilization. As for a good travel lens with a wide zoom range, consider the Fujinon 18-135mm f/3.5-5.6 OIS ($899) for its versatility and awesome, weather-sealed build. Micro Four Thirds. I used the Olympus M.Zuiko Digital ED 12-40mm f/2.8 PRO Lens when I tested Panasonic's GH5s, and dang, is it good. For $799 (at B&H Photo) you get a midrange 24-80mm equivalent zoom with outstanding sharpness, speed and build quality. Need more range? Consider Panasonic's $1,000 Lumix G X Vario 35-100mm f/2.8 II POWER O.I.S., which gives you speed, excellent image quality and a solid build, all in a relatively small and lightweight body. There are a lot of lenses on the market, and we've touched on just a fraction of them here. The key is to figure out what you want to shoot and buy the best lens you can afford to do that. For more information and detailed tests, check out Switchback Travel, which offers detailed lens reviews and great roundup lists. Ken Rockwell's site is also worth a look, thanks to the detailed and up-to-date reviews of nearly every lens on the market. Other good lens-review sites include Digital Photography Review, DxOMark and The Digital Picture. Finally, if you still can't decide, rent the lens you're thinking of buying from a site like Lensrentals.